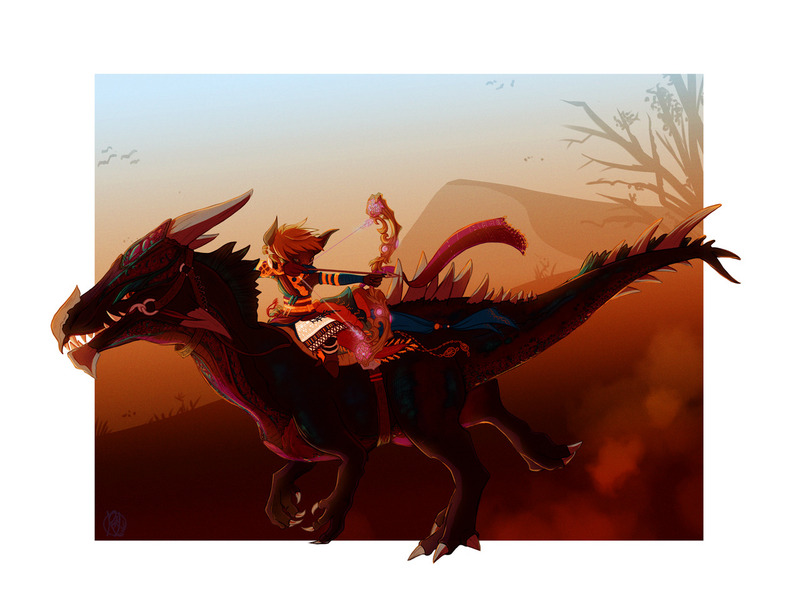 Here is your November sampling of art created by members of the Guild Wars 2 community. Keep in mind that we can’t share every amazing piece, so head over to our Tumblr to see even more! Eat your veggies, or play them? 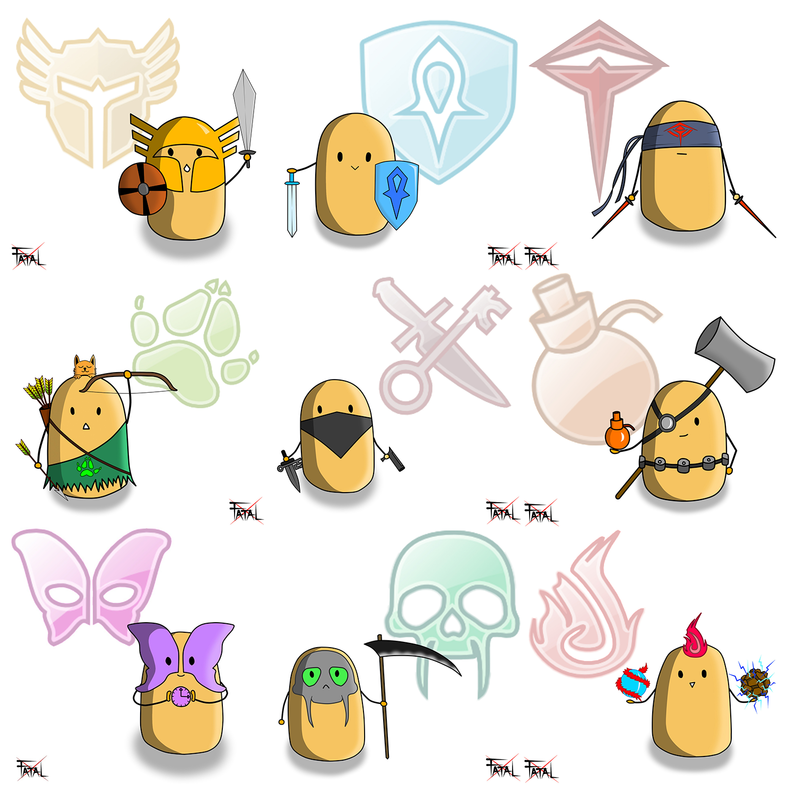 Check out fatalknightx’s take on the Guild Wars 2 professions in potato form. 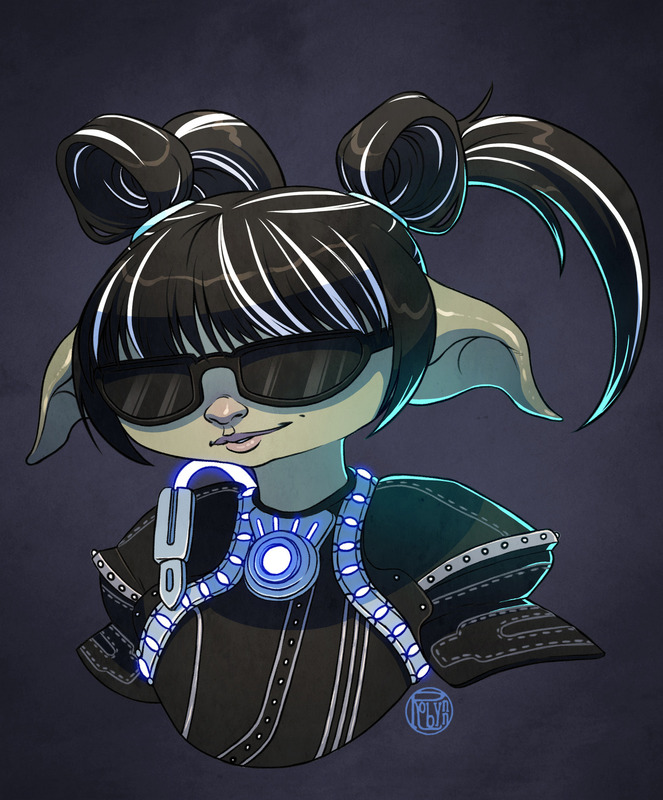 Robynn shared an image of a fashionable asura that they made as a gift for a guildie. 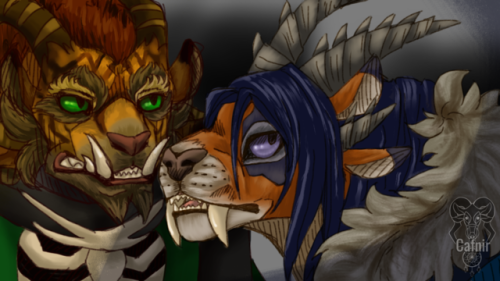 Cafnir created what they called “a sketch that went further than expected,” resulting in a lovely portrait of a charr duo. This is Rory. Artist sunshinemage says Rory has ridden his moas into battle on occasion, and because raptors are kind of like big featherless moas, the choice of ride doesn’t make a major difference to our brave hero. 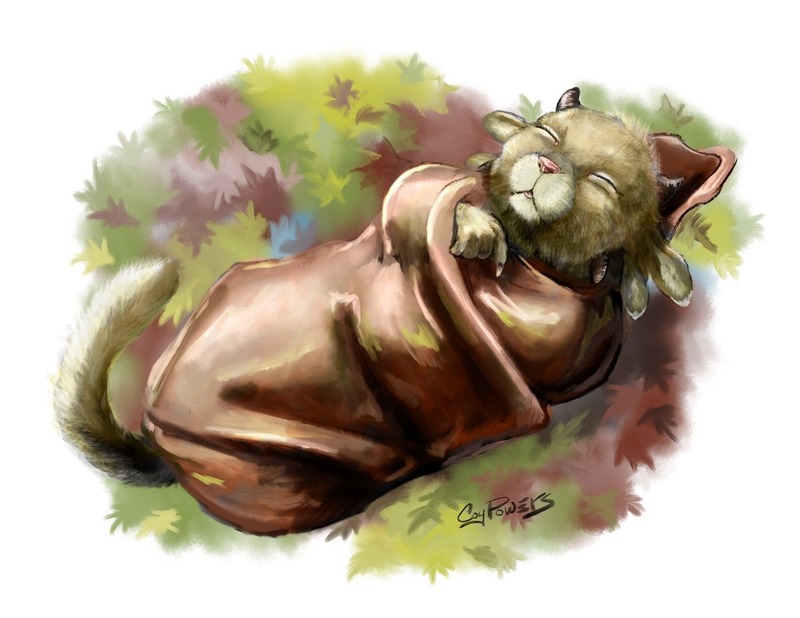 And last, here’s the purrrrfect way to wrap up this month’s blog: boldcoyote’s image of a sleepy charr cub. I hope you enjoyed seeing these compositions as much as we enjoyed presenting them. It’s always a thrill to show off some of the amazing works of art and imagination that players from around the world create and share with us. Our next Community Showcase Live livestream will air in December. And you know what December means: Wintersday! I’ll be curating pieces for the show in early December, so artists: ready your paint boxes, pencils, art programs, and craft supplies. Make that Wintersday or holiday art and share it on Tumblr or the forums! You can catch the October Halloween episode of CSL—featuring the ArenaNet costume parade—here. 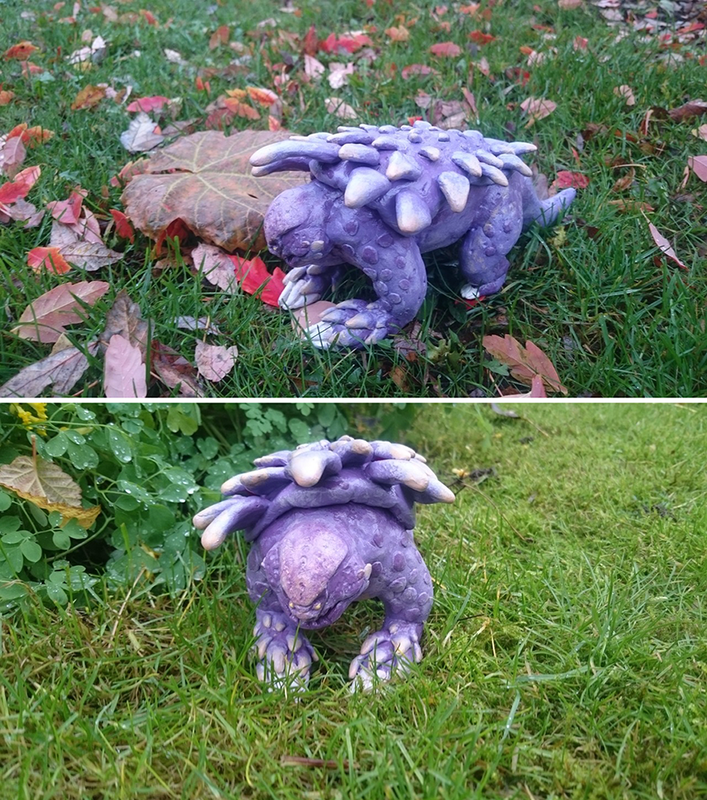 Keep in mind that if you’re an artist, crafter, or maker of Guild Wars 2–related creations of any kind—from visual art to videos, music to plushies, and everything in between—we would love you to share it on the official Guild Wars 2 Tumblr (easy submission guidelines here) or in our official Community Creations subforum.